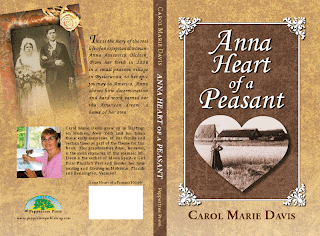 As noted here in my post last month, my creative mother, Carol Marie Davis, recently published a book about her maternal grandmother, Anna: Heart of a Peasant. As a surprise Christmas present for my mom, I sent copies of her book to five of my blogger friends from Cook the Books, our online foodie book club, to read and review, and they very kindly obliged with great posts about the book as well as their forays into some pretty tasty Russian cooking. My Australian expat buddy Alicia blogs in England at Foodycat. Alicia is always an adventurer in the kitchen and like our heroine Anna, is expert at putting up the garden harvest. 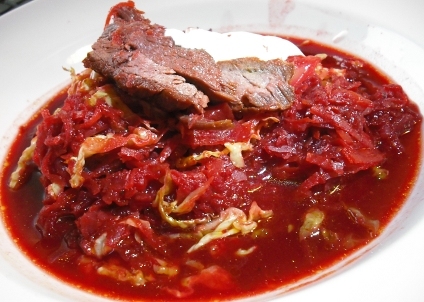 Her Anna post led to a glorious pot of borscht studded with chunks of vegetables and short ribs, accompanied by some pampushky, a sort of savory doughnut rolled in garlic and salt. Where's my spork! Traveling halfway around the globe, we find ourselves next in Hawaii at Claudia's blog, Honey from Rock. Claudia felt a bit of kinship with Anna and her gardening, preserving, wine-making ways, and notes "Peasants rule!" She took up the challenge of making Potato and Cheese Pierogis and they came out quite splendidly, bathed in a little emerald green parsley butter. Heather the Girlichef is a blogging dynamo with a big heart and a great writing style. She immediately said yes when I approached her about reviewing this book and her phrase about resonating with Anna's "hands in the earth growing food" is just beautiful prose. Heather set about making a pot of Garlicky Chicken Soup and reports that this foodie medicine may have warded off a few colds that were brewing around her home. 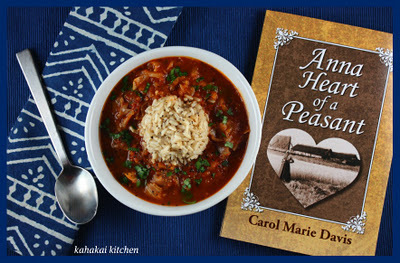 My Cook the Books co-founder and co-host, the effervescent Deb of Kahakai Kitchen in Honolulu, also tried out a cabbage soup recipe a la Anna, though her version was a little less sugary, a little more lemony and enhanced with a scoop of brown rice. Deb may also be providing us with some future recipes and/or memories of her Scandinavian immigrant forbears at her blog. I sure hope so! Finally, there's my version of Anna's Cabbbage Soup from the recent archives of The Crispy Cook. Like Deb, I cut down on the sugar, lessened the cooking time (I like my "kapusti", or cabbage, more al dente) and made up a pot of love at my own little dacha. Thanks to all my wonderful friends who helped celebrate the publication of my mother's new book. 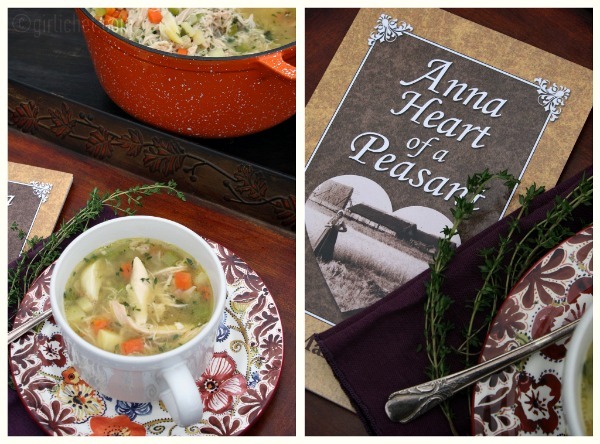 I offer you my heartfelt thanks and am glad that you enjoyed Anna's stories and recipes. My mom has been excitedly reading all your posts and even stirred herself to learn how to leave comments on your awesome blogs, no mean feat! 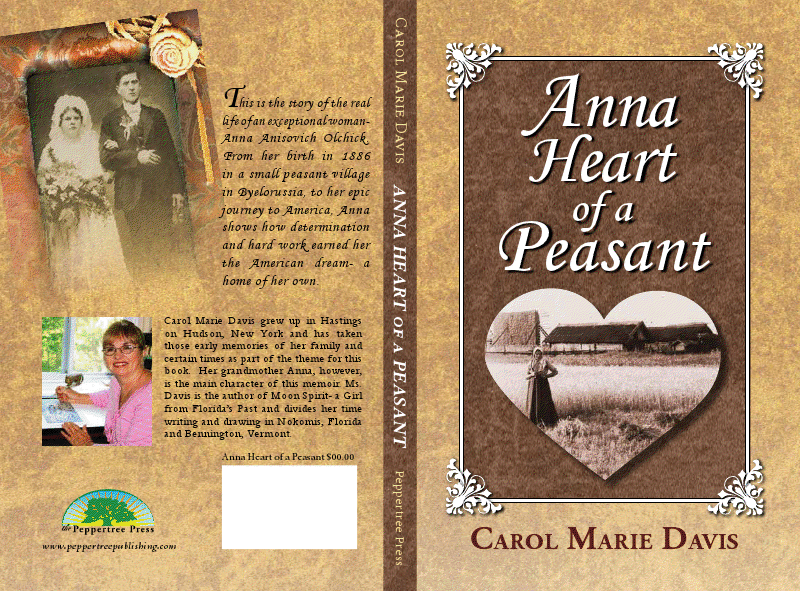 To keep the book party going, I will be offering a copy of Anna: Heart of a Peasant to one of you now. Just leave a comment below (for an extra entry LIKE The Crispy Cook on Facebook ) and leave a comment below telling me about your action, and I'll randomly pick a winner and send out a copy of my mom's book to you, anywhere in the world. I will pick a random winner from the comments below after a deadline of Feb. 29, 2012. And for all you readers who can't get enough cabbage soup, please feel free to join us at Cook the Books as we read and cook from Roald Dahl's classic Charlie and the Chocolate Factory. Deb of Kahakai Kitchen is the host for this round, in which we find our central character, Charlie Bucket, staving off hunger with his family in a cold house with meals of cabbage soup, boiled potatoes and bread with margarine (on a good payday!) before Charlie wins the lucky Golden Ticket in a bar of chocolate that allows him to tour this fabulous Willy Wonka candy factory. Cook the Books submissions are due March 25, 2012 and you can find out all about how to join in the fun with our book club regulars over at the Cook the Books website. Very nice roundup and celebration of Anna's legacy. Thanks Rachel and thanks Carol! I would just add that "Peasant FOOD Rules" as well. 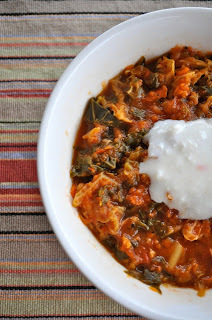 Great post and roundup of your ancestor's recipes. I think you have us all thinking about our own ancient relatives and what sustenance they found to grow, love, and live by. I had such a lovely time reading this and cooking from it! Thank you for the opportunity! A lovely roundup Rachel, and it's so cool that you have this written history of your ancestor. Thanks for letting me take part. I would love to win this, the recipes look fantastic! Thank you so much to Carol for sharing this link with us at the Hastings on Hudson Historical Society! We are delighted to add this to our archives! It was such a great experience reading your mom's book Rachel--thanks so much for sharing it with us. 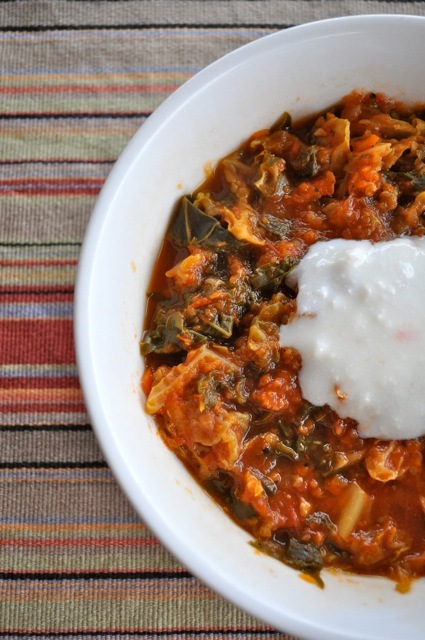 Here's to lots of cabbage soup!